As the last two visits there were slightly disappointing, I visited a completely contrary site this morning. 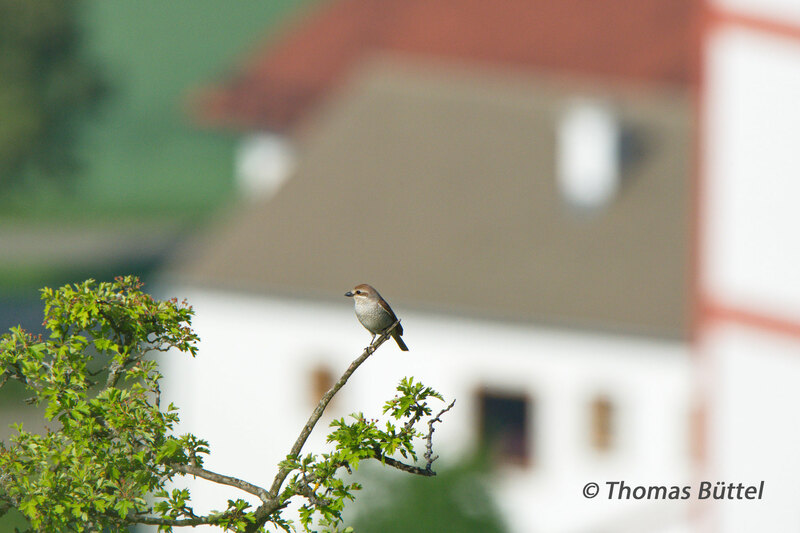 For some time now I've planned to focus more on the lower valley of the Altmühl, which is only seldom visited by birders. I decided to visit the "Gungoldinger Wacholderheide", which is an examplory juniper heath close to Eichstätt. Since the site isn't large, it took me only an hour to walk through the whole area. As expected, I found typical species of this habitat like Tree Pipit, Woodlark and Common Whitethroat. However I was surprised to find furthermore five Red Crossbills, which seem to breed somewhere in the surrounding area. As I often go birding at lakes, I seldom see crossbills in breeding season, because they are rather seclusive birds breeding in large coniferous woods. 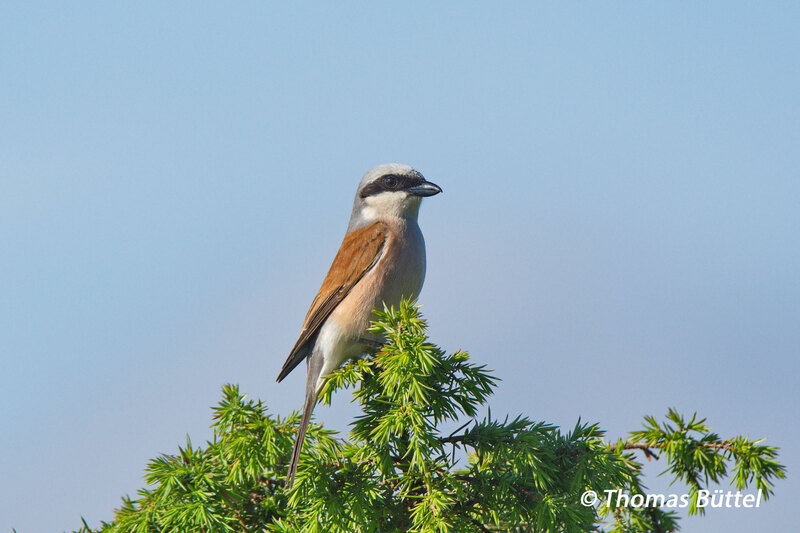 Finally, the highlight of the day were altogether five Red-backed Shrikes, although there are certainly more than just these, which were additionally very confident and photogenic as you can see below. All in all I'm very pleased with this walk. It's really sad that not more birders go there or to similar sites. 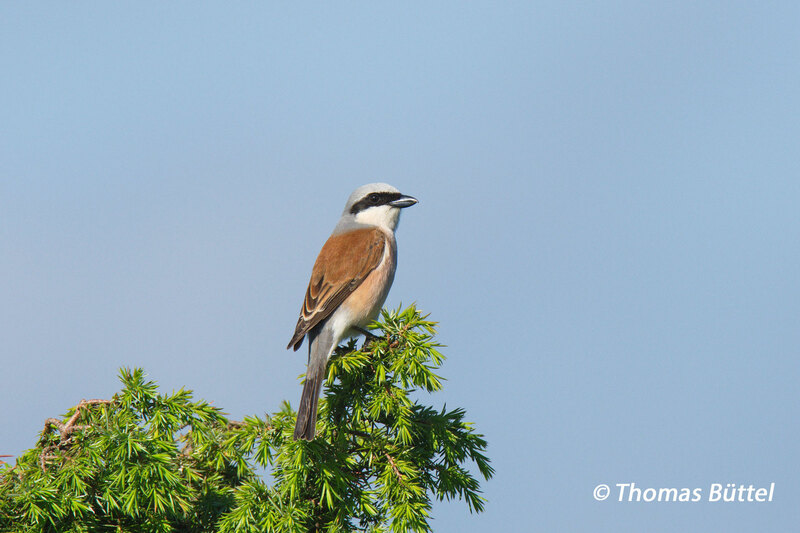 Are Red backed shrikes common in Franconia. 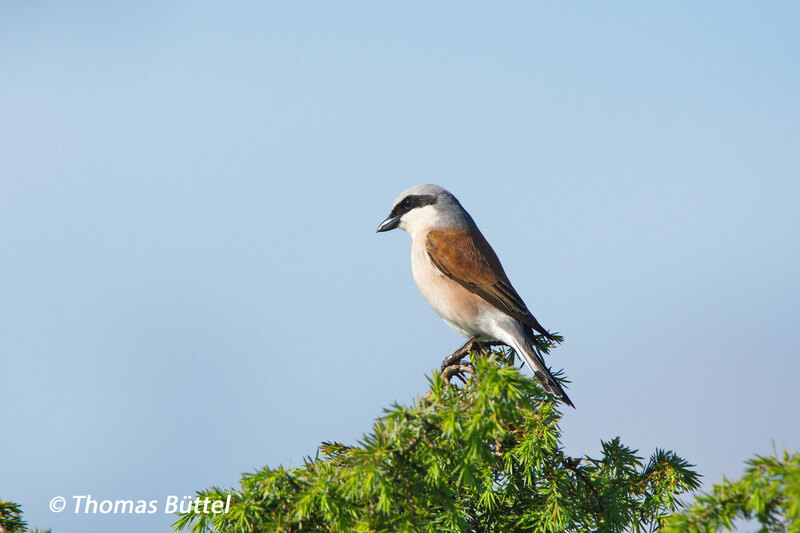 There are good chances to see Red-backed Shrikes in the right habitat in Franconia. It's definitely not a scarce species, though it's definitely declining. Thank you for the information I will keep on following your website. 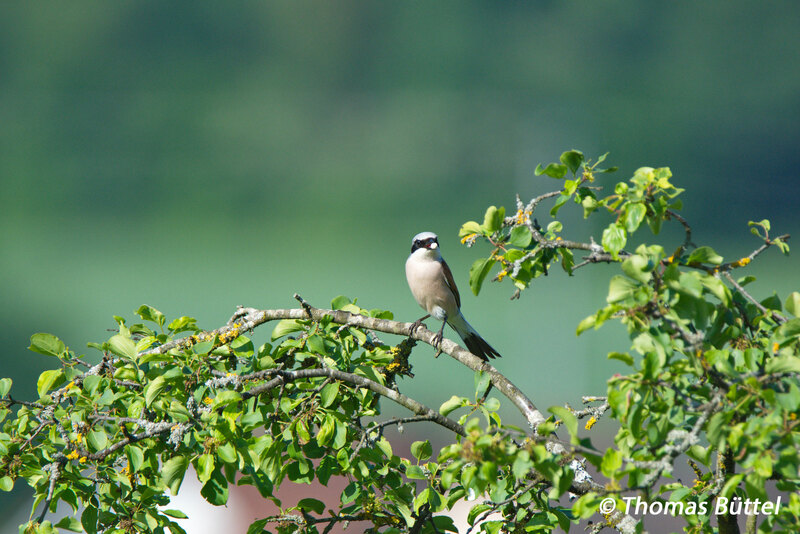 Do Red backed shrikes also live on wooded farmland or arable fields. 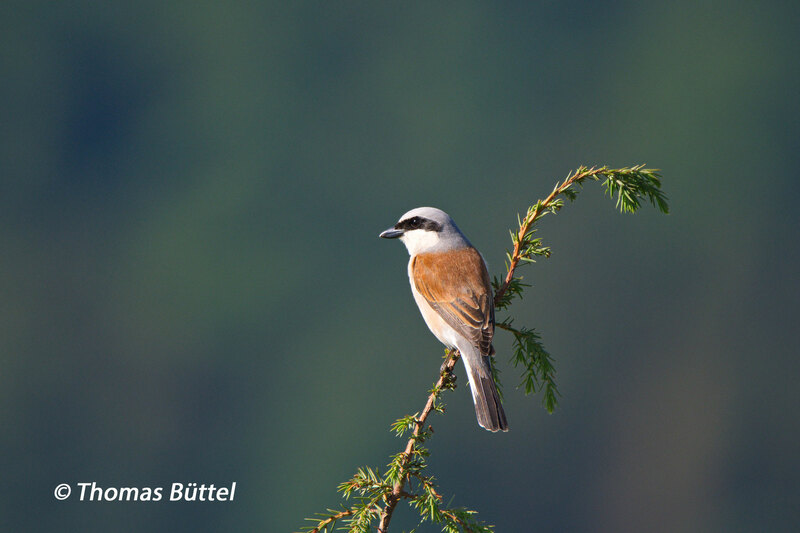 Normally, Red-backed Shrikes need something to pierce their food on them. So I'd pay attention on the shrikes, where there are hedges or bushes.